Hello friends! I hope you’re all doing well today, I really mean it. I hope it’s gloriously beautiful wherever you are, and that even if you’re neck-deep in snow or smog, or something less savory, that you’ve made your day happy in your own way. Not like the Disney song from the movie Frozen, (although, that song is seriously the best ever even if you’re so, so, so sick of it right now) but more like, Let It GO, a philosophy for living the best life possible. For me means a lot of things. I’ll be honest, learning to Let It Go hasn’t been the easiest thing. In fact, I’d venture to say getting to this point has taken surviving the hardest stuff I’ve ever lived through, (like, the hardest-hardest) while trusting I’d come out on the other side in one piece. But guess what? It totally works. Because I’m on this side now, and it’s glorious and I’m full of peace and acceptance and love and happiness. Choosing to let go (and let’s get really serious here, it’s a choice) and stop fighting the universe / myself / God / can make for a truly wonderful life. If you could choose a word or phrase for this year, what would it be? If you live by a personal mantra, what is it? You don’t have to share, but I’d love it if you did. Have I mentioned lately how grateful I am for you? Well, I am. And I hope you have a great week! P.S. Do you know about the band Echosmith? You guys. It’s a family band composed of 4 (almost all) teenaged siblings: Graham, Sydney, Noah, and Jamie Sierota, and they rock. Actually and metaphorically. You must watch this video or give the song ‘Bright’ a listen; it perfectly encapsulates my sentiments right now, about Letting it Go. One of the best mantras there is. Theresa, it really is, thank you! I’m loving it. One of my mantras this year is, “Show Yourself Some Grace”. I am extremely hard on myself and I have been having a very challenging month. Showing myself a little grace and understanding is what I need more than ever at the moment. Oh Lucrecer, you owe yourself grace. Bigtime. You’re one of the good ones. I’m so sorry to hear you’re struggling, but you’re so strong and smart and kind and beautiful in every way. Give yourself some forgiveness. I love you. Just what I need. 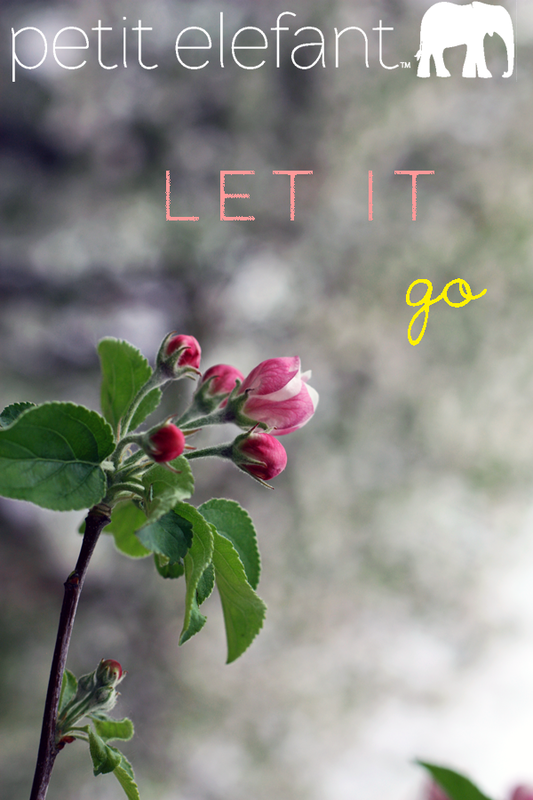 Was having a bad day, and I read your blog and realized I did need to let it go! How easy and hard at the same time! Thank you. Song was perfect also.